Nervousness, fears, and heightened concerns were triggered by the recent, exceptionally harsh warnings to Turkey from Admiral Evangelos Apostolakis and Defence Minister Panos Kammenos. Apostolakis spoke of “razing” any Greek rock islet that Turkish troops may dare to land on, and Kammenos spoke of a “crushing defeat” and asserted that Greece will declare the Exclusive Economic Zone (EEZ) of the tiny, innhabited island of Kastelorizo in the next few months. If these statements were not made simultaneously and were not related to heightened provocations by Ankara, they may not have been noticed. However, the fact that Ankara responded with dozens of war plane flights over Greek territory and violations demonstrates that in the Aegean and the Eastern Mediteranean everything is possible. Given the constantly shifting alliances in the region and the general diplomatic power plays (US pullout from Syria, the abandonment of the Kurds to the mercy of the Turks, and the war of words between Erdogan and Netanyahu), Greece is entering 2019 confronted by a very difficult, open front. 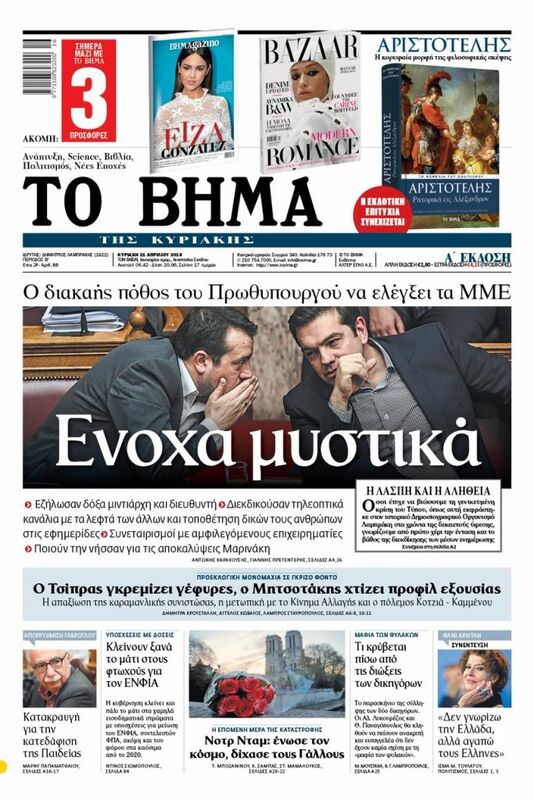 As To Vima on Sunday duly noted, the “spectre of Imia” is still here and haunts the top brass of the Greek military. The prospect of a Turkish occupation of one of the dispersed islets or rocks in the Aegean remains one of the basic scenarios and is the foundation for many of the Greek military’s plans. 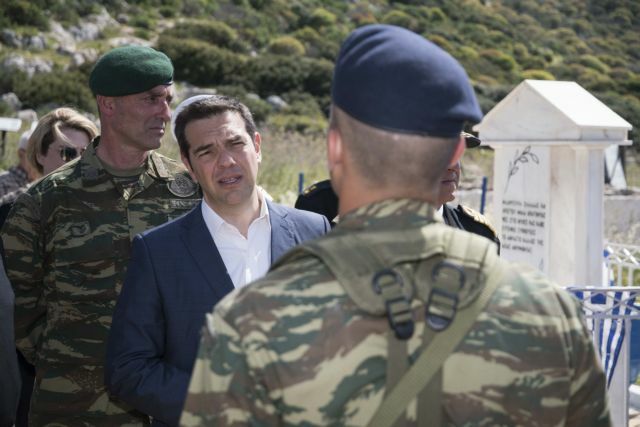 It would be a development that would deal a blow to the morale of the Greek armed forces. Naturally,one of the scenarios that has been threshed out by the defence and foreign ministries is the prospect that Ankara will repeat the Imia precedent of a landing on a Greek islet, but in the Eastern Mediterranean this time. In that case, all eyes will be on the Kastelorizo island complex, and the difficulties of a Greek response. The Kastelorizo island complex is comprised of 14 islands, islets, and rocks, of which three are inhabited – Megisti, Stroggyli, and Ro. A Turkish landing in that area according to analysts would have a dual objective. Firstly, Ankara would dynamically revive its theory of “grey zones” – territory over which Turkey does not accept Greek sovereignty. That could entail occupying or blockading one of the Greek rock islets in the complex, possibly one at the most southeastern point. Thus, Turkey would in practice reiterate its position that certain islets or rocks not enumerated in the 1923 Treaty of Lausanne, the Italy-Turkey agreements of 1932, or in the Paris Agreement of 1947 are of disputed sovereignty. The occupation of Greek territory could fuel a bombing, and it would be difficult to challenge the legitimacy of such a response. A prospective blockade would likely lead to a legal and diplomatic battle of undetermined length. Secondly, Ankara at this juncture appears to be interested more in the Eastern Mediterranean than the Aegean. The clear reason is the existence of hydrocarbons deposits there and Turkey’s determination not to be left out. A Turkish takeover of an islet of the isolated Greek island complex would de facto break what is viewed as the unified space between Greece and Cyprus, and the theoretically neighbouring EEZs of two countries. Some believe that international jurisprudence reveals certain weaknesses in Greece’s arguments on this particular issue, which a Turkish move would serve to highlight. Many believe that Turkey will simply continue bullying Cyprus and Greece until Ankarais called to the table for the distribution of the energy pie. A key qustion is whether Apostolakis indeed has information from intelligence services about the prospect of a Turkish landing and takeover of a Greek rock islet. AdThe opposition is already charging that the Admiral is engaging in politics, and is effectively backing Kammenos’ terror-mongering and patriotic flourishes. “We would not rule out their creating a tense climate with Turkey for the sake of electoral gain,” one source opined.